Within a few days, Antikythera will open its doors again to the local Primary School, which has been closed on the island for nearly 30 years and will welcome three young students. For the first time since 1991 when it closed, the Primary School of Antikythera will reopen with the three students and a teacher who are all very excited to ring that school bell for the first time in so many years, said Mayor of Kythera, Andreas Harhalakis. “A family who lived in Athens with three children, decided to leave the Greek capital and have relocated to the island,” explained Mr. Harhalakis, stressing that this is a big deal for Antikythera, who since the 1980s has seen a major decline in population and today the island only has 18 inhabitants, making this a major development. The three children will attend first, third and fifth grades of elementary school and the school are already prepared to serve the needs of its students. The parents only informed the Mayor of their plans in September and the Greek Ministry of Education worked quickly to ensure the kids would receive the adequate necessities to attend school. 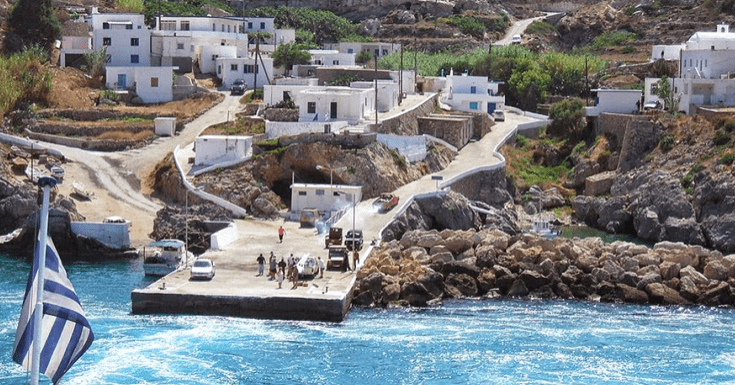 The teacher who has taken the position training has been working for three years on the island of Anafi and the Municipality has received a budget of 2019 for a major refurbishment of all the facilities of the school. The Mayor also announced there will be major incentives given to five families to move to Antikythera with job opportunities for them and sponsorship by the National Bank of Greece, with the aim of having these families arrive over the next few years. This is a development that local authorities consider to be particularly important, otherwise, they believe the small island of Antikythera is in danger of becoming uninhabited in a few years.